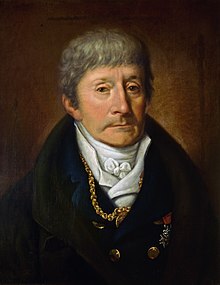 Antonio Salieri (18 August 1750 – 7 May 1825) was an Italian classical composer, conductor and teacher. I feel that the end of my days is drawing near; my senses are failing me; my delight and strength in creating songs are gone; he, who was once honored by half of Europe, is forgotten; others have come and are the objects of admiration; one must give place to another. Nothing remains for me but trust in God, and the hope of an unclouded existence in the Land of Peace. [Salieri] did not harbor a grudge against Mozart, who eclipsed him; but whenever he spotted a weak point in Mozart he drew his students' attention to it. Thus one day, when I was alone with Salieri, he divulged that Mozart had completely misinterpreted the final scene of the first act in "Titus." Rome is burning; the whole population is in revolt; the music ought to rage and be tumultuous; but Mozart chose a slow, solemn tempo and rather expressed dread and horror. I did not let Salieri confuse me, and still agree with Mozart's views. As far as I know, Salieri missed only one performance of "Don Juan." This work must have interested him particularly; but I have no idea whether he ever commented about it enthusiastically.